A team of residents on Bonnington Square have come up with a plan to close part of Bonnington Square to traffic and significantly widen the pavement areas in front of both Italo deli and the Bonnington Café restaurant. As part of the informal committee meeting last week it was suggested that Langley Lane might be re-instated as 2 way traffic street, with a couple of “traffic squeezers” similar to those on Fentiman Road installed to allow vehicules to pass in safety, and thereby slowing traffic speeds. This would also reduce or eliminate extra traffic going all the way round Bonnington Square to access Langley Lane. 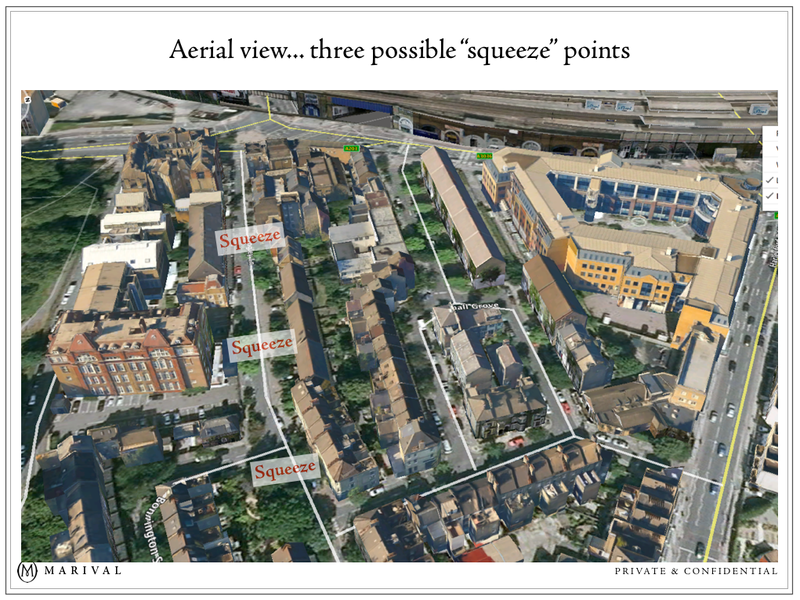 The Bonnington Square residents are looking to arrange a meeting with James Ahmed, the architect who has drawn up plans and obtained Bonnington Square and Vauxhall Grove residents’ input. They would like to obtain organised input from as many Academy residents as possible. There are obviously pros and cons to this plan. The pros – it would almost certainly enhance the area and its aesthetic appeal. The cons – the plan would reduce parking spaces and at the same time possibly increase demand for parking spaces at a time when there may be additional pressure on parking if proposals for 41 new flats are approved for 10-12 Lawn Lane, plus the creation of two-way traffic in Langley Lane. 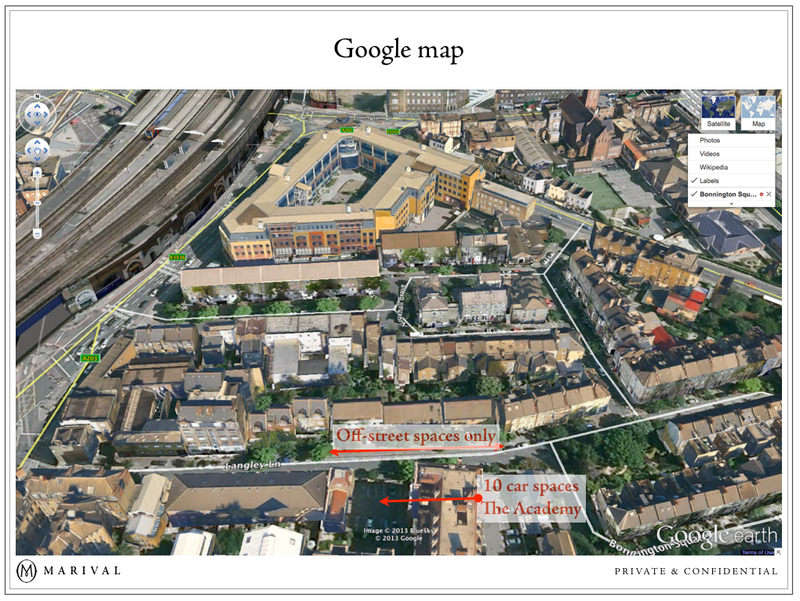 41 Residential Units – Curious to see where 41 additional cars will park in Lawn Lane. Always assuming Lambeth grants the residents parking permits. Comments to Lambeth Council by 20th August 2013.